Production starts with the selection of the best raw materials, because quality needs to be built in throughout the process. Siderval’s expertise, know-how and innovative processes have seen us produce more than 5800 different profiles. 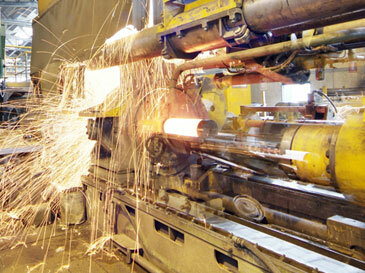 Raw materials bought in the form of cast, forged or rolled round bars go through an incoming material control process. Bars are peeled in an automatic peeling machine with a capacity of more than 40,000t, enough to process all the material for our own production but also to satisfy external demand. Peeled bars are cut into billets in lengths according to the final product dimensional size requirements. 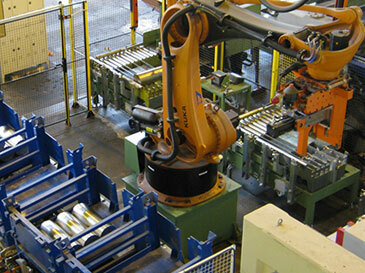 Billets are checked, marked and “radiused” and managed through an automatic manipulating and conveying system. When producing hollow profiles, the billets are also pierced. 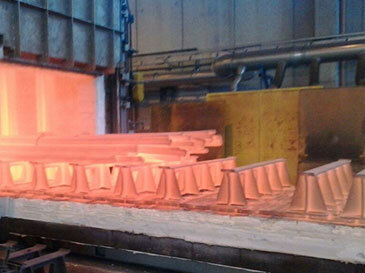 Siderval uses 4 induction furnaces to heat up the billets to the right temperature. This is done in a controlled atmosphere to guarantee a clean billet skin that will result in a good surface quality of the finished product. Hot extrusion is carried out using a 2400t state-of-the art press able to produce profiles as long as 16m with full or hollow sections, with a maximum circumscribing circle diameter of approximately 200mm. Siderval has heat treatment facilities for performing the most common types of treatment, but also has a network of suppliers capable of carrying out complex heat treatments in accordance with specific customer requirements. 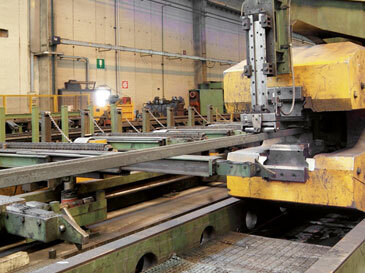 In the finishing area, Siderval uses special machines and specific toolings for each profile. 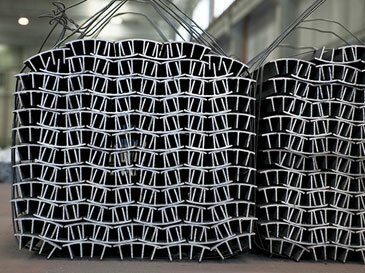 Extruded bars are straightened and shaped with tight tolerances. Material is packed in bundles, wooden cases or pallets according to the customer or quality requirements in terms of protection. 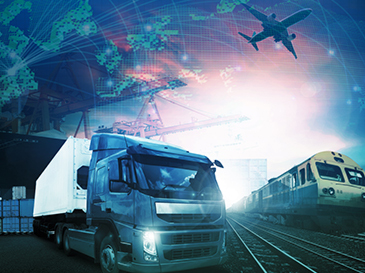 Material is shipped all over the world by land, sea and air. 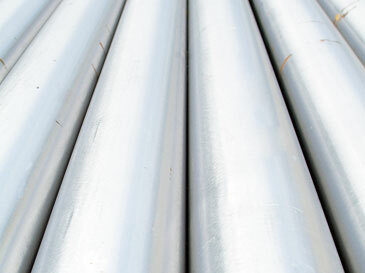 The wide variety of applications and markets for which we supply special profiles all have their own specific requirements. 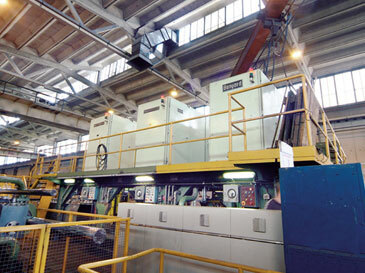 Siderval’s laboratory is able to evaluate the chemical composition and mechanical properties of the materials (UTS, YS, elongation, impact resistance) throughout the process as well as for certification purposes.Where required, Siderval also has a network of partners that can perform specific non-destructive tests (e.g. ultrasonic, electromagnetic), as well as a number of laboratories capable of carrying out more complex destructive testing for certification purposes ( e.g. : NADCAP for aerospace).